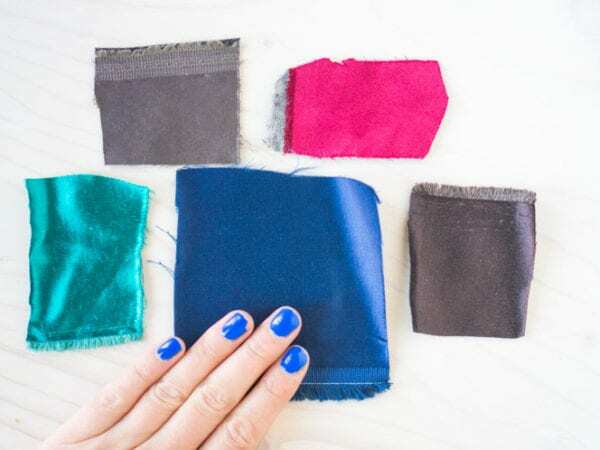 When we first cooked up the idea of the #BlazerofGlory challenge for our Jasika Blazer Heather mentioned that we should interview some actual real-life tailors to get everyone inspired. 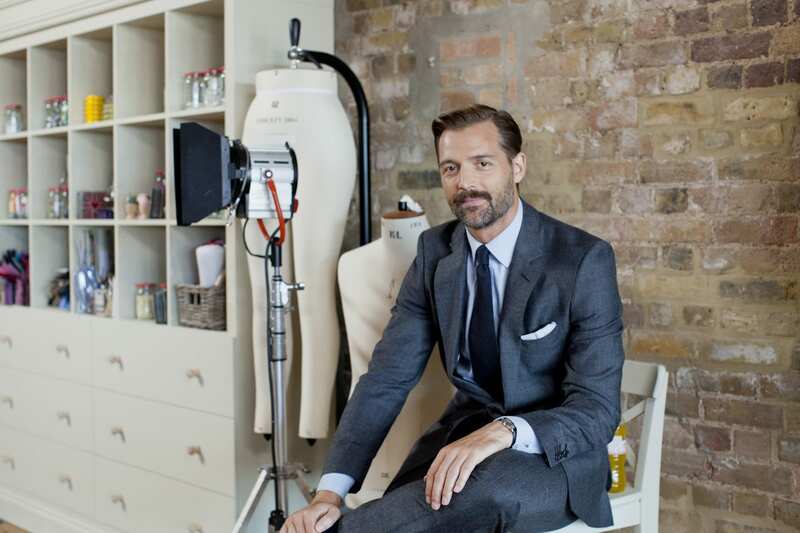 I believe the next words out of my mouth were, “CAN IT BE PATRICK GRANT??! 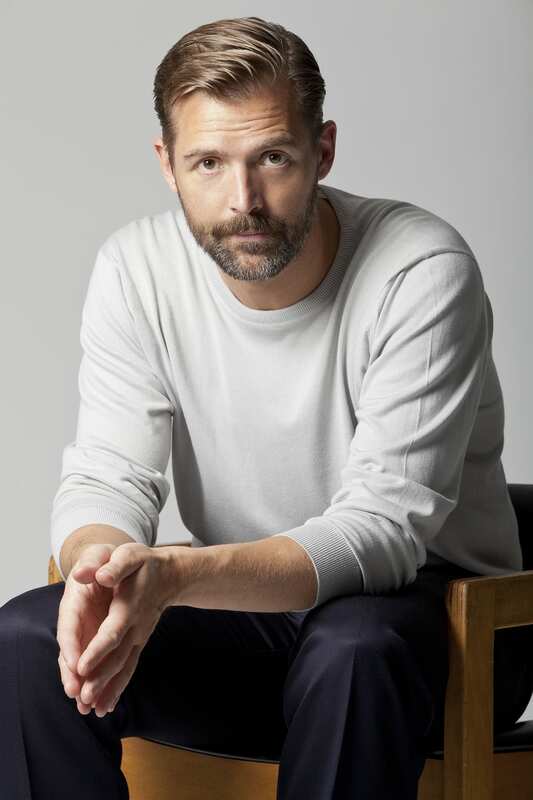 !” You see, over the Christmas season I had gotten all caught up with the GBSB (The Great British Sewing Bee) and came back from vacation with a whole new set of skills, an appreciation for the full panoply of British accents, and maybe, just a wee crush on the judge Patrick Grant. Beyond his great taste and impeccably cut wardrobe, THE MAN KNOWS TAILORING. Patrick started his career in fashion by purchasing an ailing Savile Row business called Norton & Sons and completely revitalizing it in a matter of years. Later he relaunched the defunct Norton subsidiary E. Tautz as a ready to wear brand, winning the Menswear Designer of the Year at the British Fashion Awards in 2010. In years since, he has relaunched another Norton sub-brand, Hammond & Co, and made impressive strides in the British clothing manufacturing sector with Cookson and Clegg and Community Clothing. We’re really not sure when he ever has time to sleep. We figured he’d have some encouraging nuggets for any of you screaming at welt pockets at the moment; he did not disappoint. Read Heather’s interview with Patrick to get a peek into the rarefied world of Savile Road, bespoke tailoring, and clothes that double as family heirlooms. As a commercial interior designer turned pattern designer, I really identified with your own shift from engineering to fashion. How do you think your experience in a more technical field has informed your relationship to tailoring and fashion? Everything I learned as an engineer I apply to designing clothes, whether its for E. Tautz, Hammond & Co or Community Clothing. At the heart of my design process is excellence in materials, excellence in function and excellence in execution. I design clothes I hope will be a joy to wear, but also that will last, and will improve with age. Obviously, you’ve become well known in the sewing community as a result of your involvement with the Great British Sewing Bee. 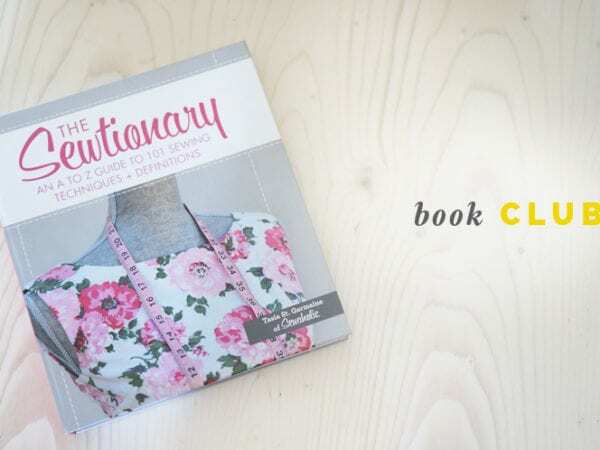 Home sewing is seeing a massive upswing in recent years as people rediscover the art of craft and making and it’s an exciting time to be a part of that movement. What are your thoughts on the sewing movement at large? Home sewing is incredibly important in a really broad context. We need to change the way we think about clothes, we need to see them as items of great value, we need to cherish them, and the materials they are made from, and we need to know how to give them the longest life possible. That is at the core of sustainability in clothing and fashion. Home sewers are changing the world of clothes for the better. What is your own experience with sewing & tailoring? You have a large team of skilled tailors and craftspeople, but have you ever had a hand in the actual construction process of a tailored jacket? What do you enjoy about the process? I learned to do everything when I started work at Nortons, from trimming, marking out and striking to tailoring and shirtmaking. But being a bespoke tailor on Savile Row requires years of dedicated training, 40 hours a week for four or more years to be a coat maker. So yes, I leave it to the experts, but I loved the years when I was working in the workroom. 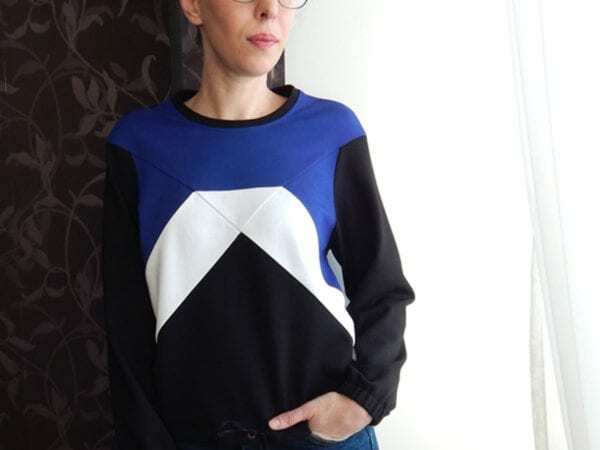 Being involved in making something so beautiful is a pleasure, and when I do sew today, bits of alteration, or the odd new garment, I love the process, especially hand sewing. I find it very meditative. Who or what inspires your personal style and fashion collections? Everything and anything. It’s one of the joys of designing clothes. This season I’m looking at the west African textiles in the work of the brilliant Lubaina Himid, but in past seasons I’ve taken inspiration from huge variety of sources; the Terry Street poems of Douglas Dunn, Attenborough’s Life of Birds, ‘The North’ by John Bulmer, The Hebrideans by Gus Wylie, the banners of the Lancastrian textile workers. Really, it can come from anywhere. 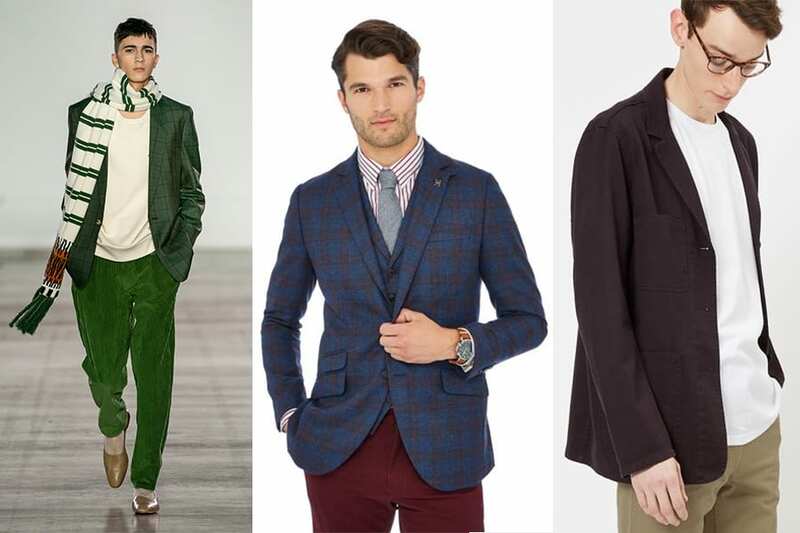 What do you consider the hallmarks of a perfectly tailored jacket? Are there any materials or design details you turn to again and again? Effortless fit, beautiful natural fabrics, and beautiful hand tailoring and finishing. Style is personal, and it changes with time. I currently enjoy wearing much softer, much more draped jackets, usually in more interesting vivid patterns (sadly most of which strobed on camera so couldn’t be worn on Sewing Bee). Do you have any tailoring tips or skills you would to share with the ambitious home tailor? Really there are no shortcuts, you need to learn from an experienced tailor, and you need to do a lot of it. Not that long ago on Savile Row you would spend 6 months just learning to put in sleeves. The bespoke tailoring industry has an illustrious history but may be difficult to break into. Do you have any professional advice for aspiring tailors? It is difficult to get into on Savile Row, we get probably 100 applications for every apprenticeship place on Savile Row. But we are crying out for people who want to be garment sewing machinists at our Cookson & Clegg factory in Blackburn. We look to take on apprentices who have great sewing skills, a fantastic work ethic, and a cheerful personality. The Great British Sewing Bee is in its 5th season on the BBC and the finale just aired! Get all caught up here. Thanks Patrick!